File - In this Jan. 12, 2012 file photo, musician Bob Dylan is seen onstage during the 17th Annual Critics' Choice Movie Awards held at The Hollywood Palladium. Part of his 6,000 piece archives are now available at the Gilcrease Museum's Helmerich Center for American Research in Tulsa. 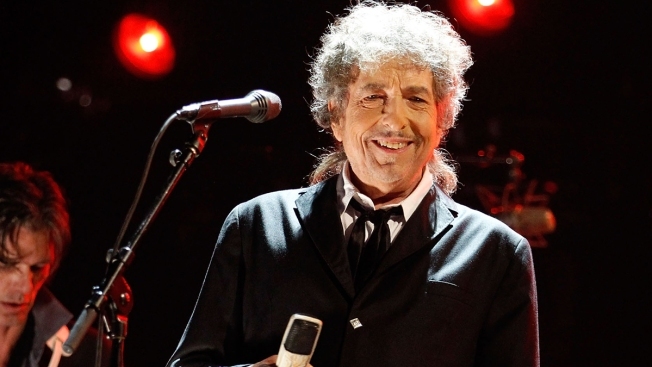 Part of music icon Bob Dylan's once-secret 6,000-piece archive, including thousands of hours of studio sessions, film reels and caches of unpublished lyrics, has opened in Oklahoma. More than 1,000 pieces of the collection spanning Dylan's six-decade career are available to scholars at the Gilcrease Museum's Helmerich Center for American Research in Tulsa. The opening comes a year after the George Kaiser Family Foundation and the University of Tulsa acquired the collection for an estimated $15 million to $20 million. The public will get a glimpse of some of the material when the Bob Dylan Center opens in downtown Tulsa's Brady Arts District in about two years. The center will occupy the opposite side of a building that houses a center devoted to Woody Guthrie, one of Dylan's major influences.